ENCINITAS, Calif., January 10, 2019 – Sitting high on the bluffs of Encinitas, California, with unobstructed views of the California coastline, 110 5th Street was just purchased for $9,750,000. 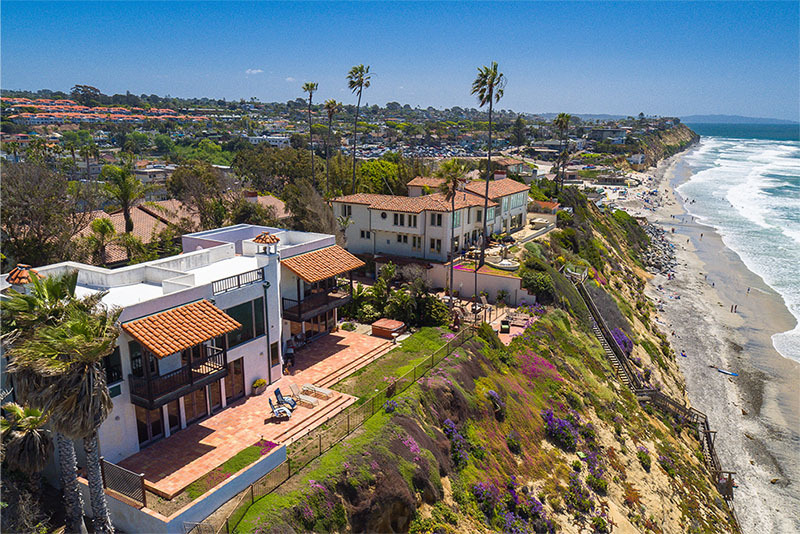 The Jim McInerney Team at Pacific Sotheby's International Realty represented the seller on what is the third-highest MLS sale EVER recorded in Encinitas, California. This was the first time the property, which sits on 0.46 acres with 100 feet of ocean frontage, just steps to Moonlight Beach, was on the market. The extremely private home, surrounded by lush landscaping, enjoys views from La Jolla to Dana Point. The master retreat, with its floor-to-ceiling windows, occupies the entire top floor of the home. Multiple covered patios, a huge rooftop deck and top-of-the-line materials and appliances come together to make this home truly spectacular. Incredible views from the 42×20 ft. rooftop deck. San Diego County has seen a consistent trend of luxury buyers entering the market and the region is seen as a bargain compared to other areas of California. With the increase in job growth, companies and people moving to the region, luxury buyers understand that San Diego is a great place to own luxury property. For more information about Pacific Sotheby's International Realty and the Sotheby's International Realty brand, visit www.pacificsothebysrealty.com.